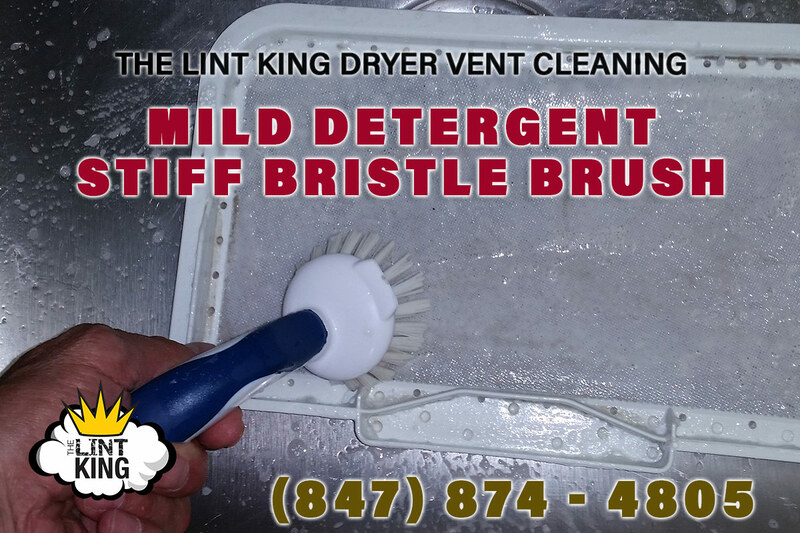 Why Dryer Vent Cleaning? 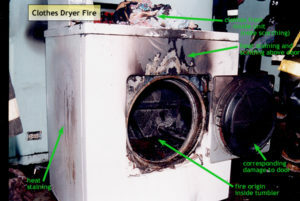 The Lint King Inc. has been educating homeowners on the hazards and in-efficiency in our laundry rooms. 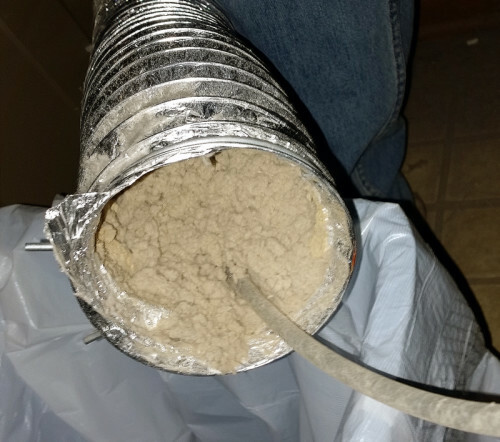 There are many factors that will determine HOW OFTEN YOU SHOULD CLEAN YOUR DRYER VENT like, the number of loads of laundry you do, pets that shed hair, the configuration of the dryer vent’s length and a number of turns. 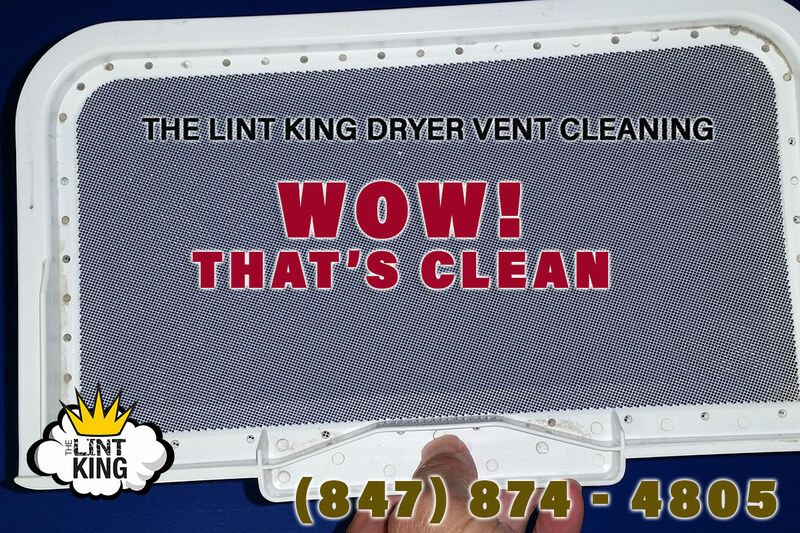 In general, the Lint King recommends annual cleaning including a deep dryer airway cleansing. 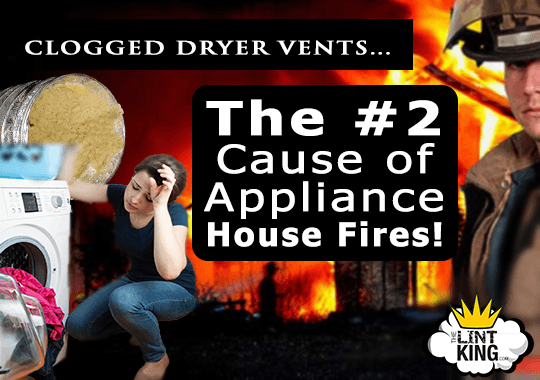 Just as we humans get a little backed up, so can your dryer… Worst case you should have the vent cleaned and dryer airway cleaned at least every 2 years! 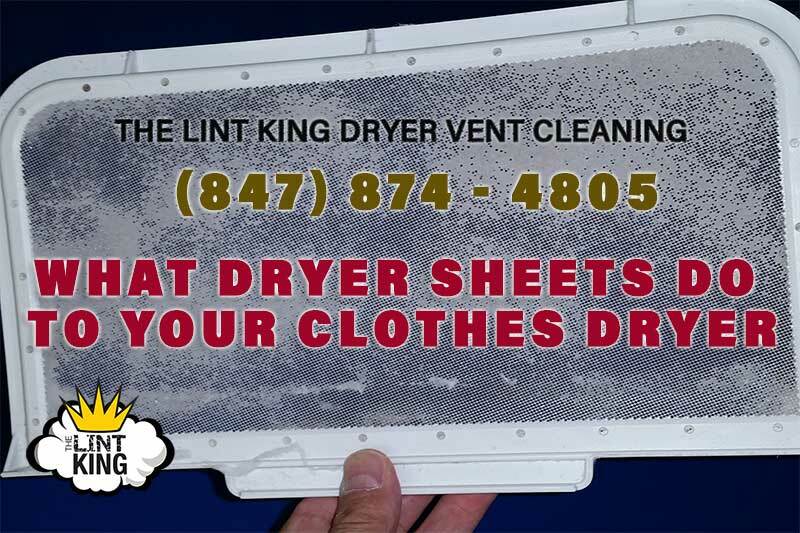 Every day here at The Lint King we get customers that say “THEY NEVER KNEW THEY NEED TO GET THE DRYER VENT CLEANED“. It’s really something which needs to be maintained. 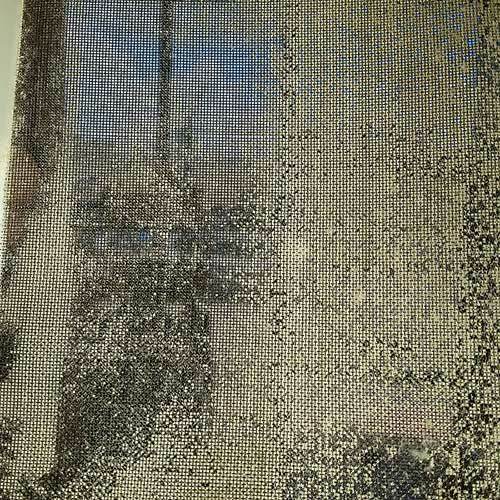 Just because the dryer seems to be working fine is definitely not a good reason to put off cleaning it. 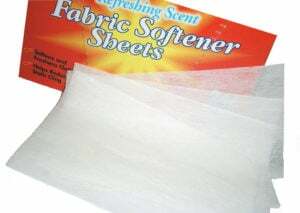 We are your lint pros that have the experience and knowledge to get the lint out! 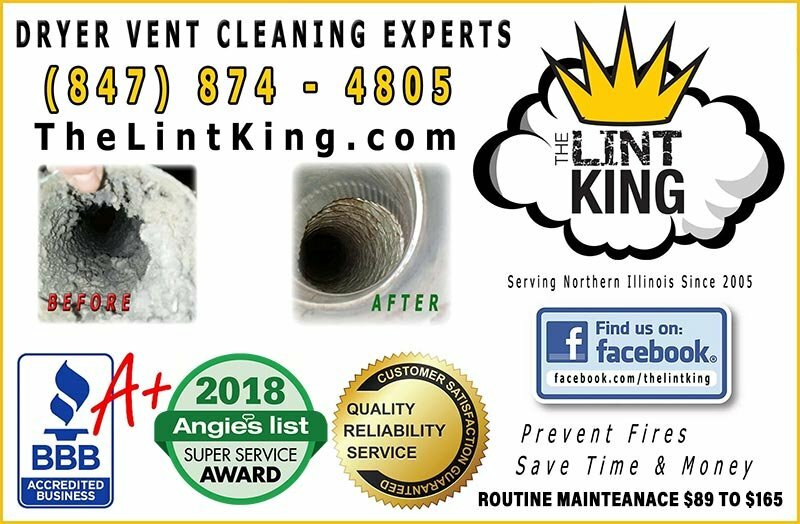 Call the Lint King Today to Schedule a service call (847) 874-4805, or use our online form. 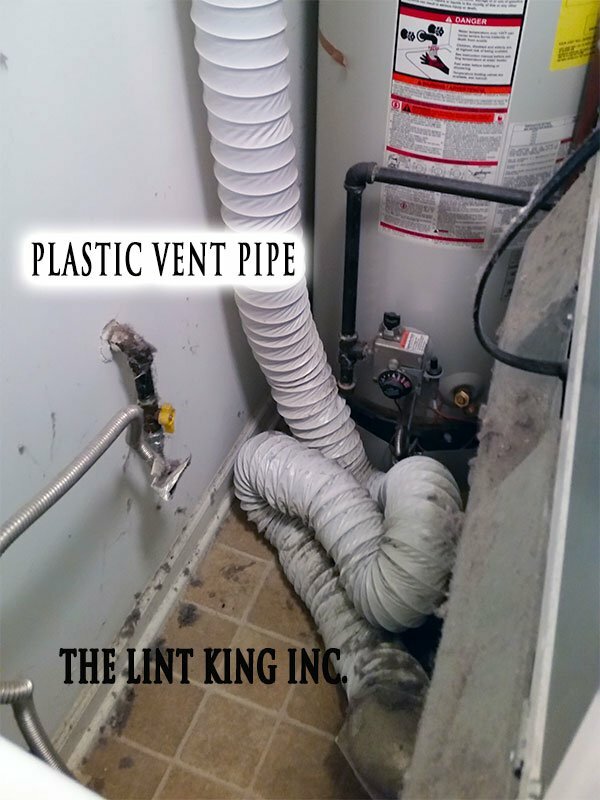 Dryer vent cleaning cost $89 to $129 *. 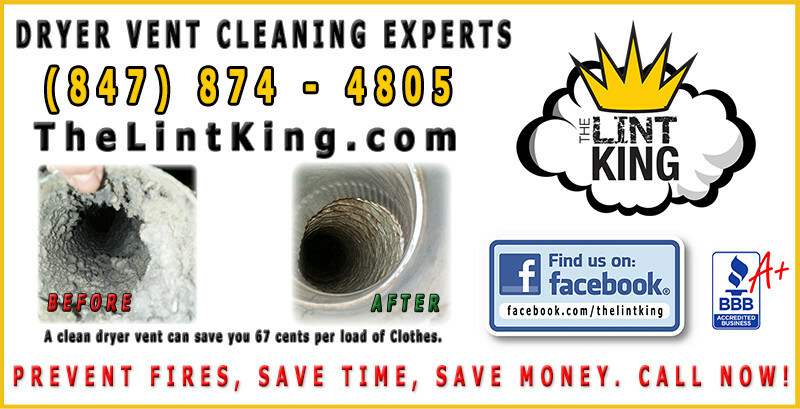 Call the Lint King today to learn how we can save you time and money. Are you unsure whether it’s time to get your vent cleaned? Dryer Vent Cleaning Test. A birds nest in your dryer vent will cause your dryer to run longer. 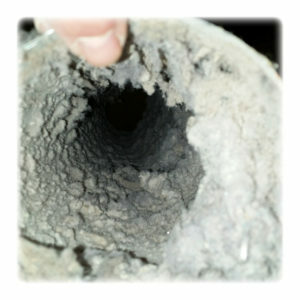 It will be the cause of lint building up inside the ductwork from the nest to the inside of your dryer cabinet. 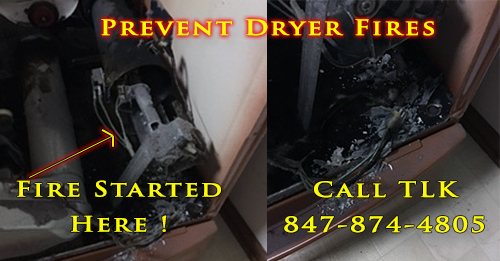 Best Dryer Vent Cleaning Service offers same day service in Northern Illinois. 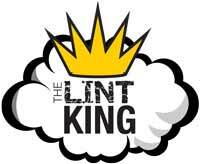 Call The Lint King today for quality workmanship at an affordable price! Keep your family safe from fire. Be aware of the hazards in your home. And, be sure to have an escape plan. Pull together everyone in your household and make a plan.